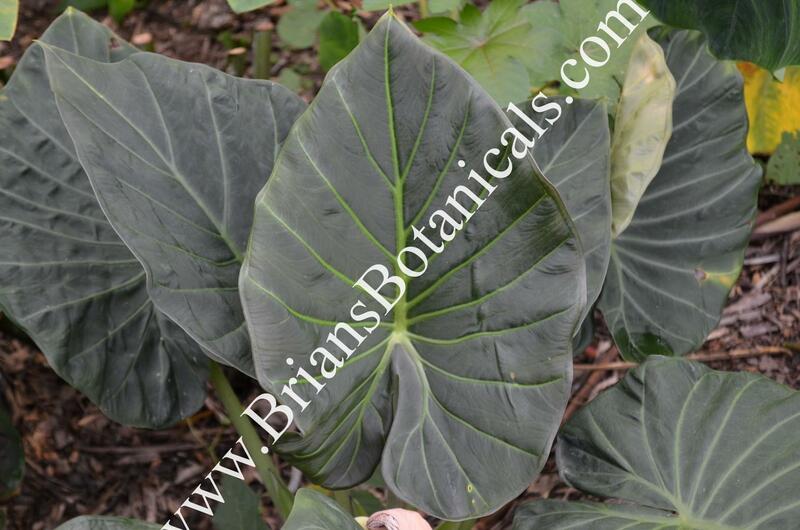 This Alocasia is a recent hybrid by LariAnn Garner of Aroidia Research, and is the result of what she calls a “Hail Mary” cross. This is because the parents, which were A. odora and A. reginula, are so different in size and morphology that the probability of hybrid success seemed very low. Nonetheless, not only was the cross a success, it yielded very durable, robust and easy to grow plants that are also very attractive. A must for any tropical garden.